One of my favorite teas! I am sitting at my desk on my lunch hour sipping a wonderful glass of ice tea. If you’ve never tried Moroccan Green Mint Tea, I highly recommend it. 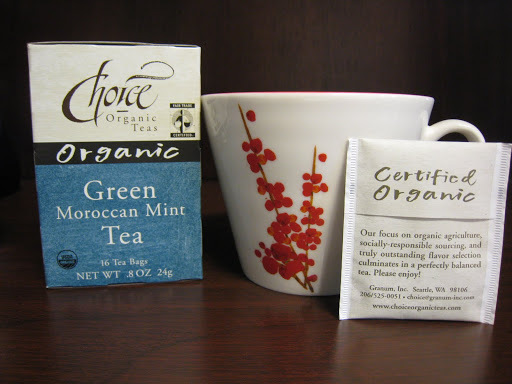 I first tasted this type of tea at Disney’s Epcot in the Moroccan restaurant. I loved it and tried numerous brands of tea after returning home in an attempt to replicate the flavor. I finally found one that is fabulous. Here in Little Rock I get it at Whole Foods, but you may be able to find it at other stores as well. It is great hot or iced. Yummy!